"TaxiForSure has an excellent iOS app that I'm so addicted to. The app knows where I'm which makes it super intuitive to book a cab in less than a minute. 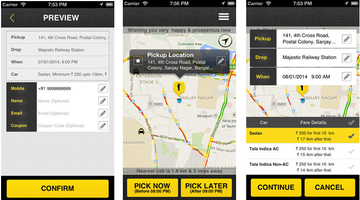 Having the driver information and tracking details makes me feel secure."